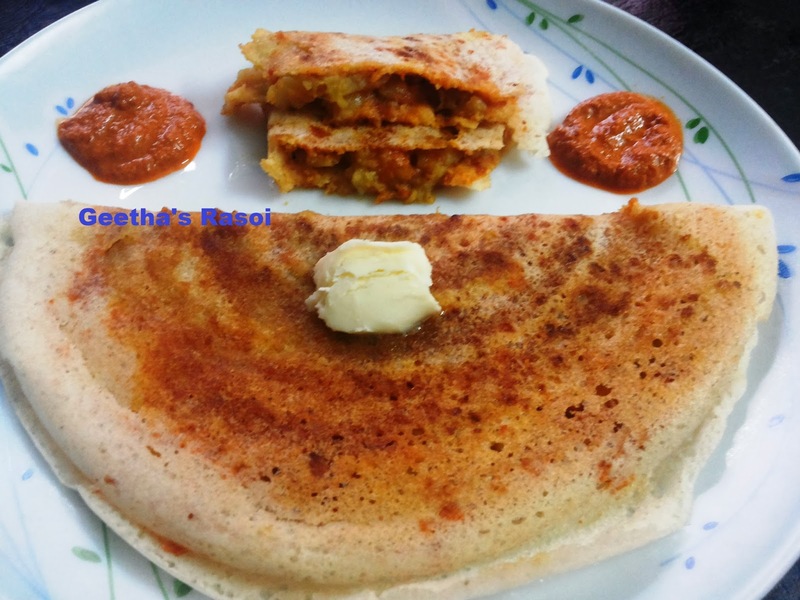 This is also known as Davangere Benne Masala Dose and its a Karnataka special Recipe. 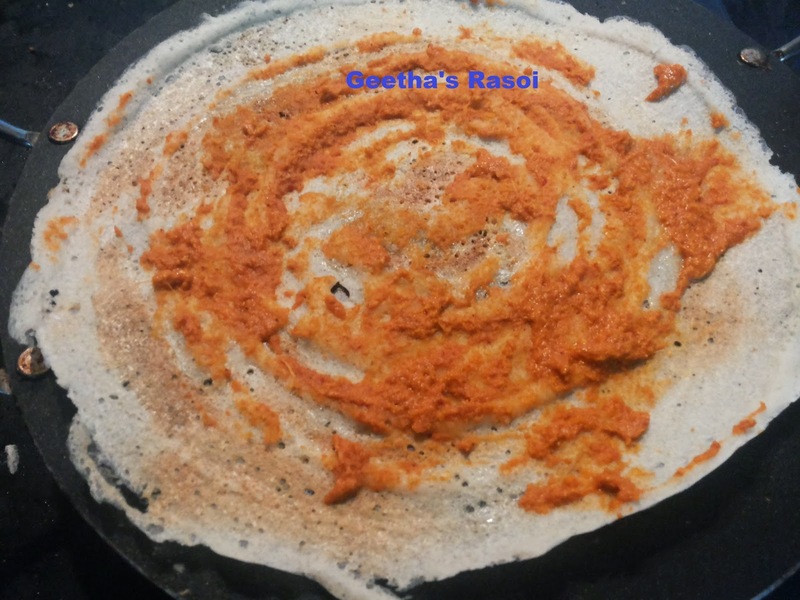 Instead of Ghee or oil, Butter is extensively used in this Dosa. This is not for those who are on low calorie diet. But just for the sake of tasting this you can try this. Really a tasty one. I got this recipe from the internet. Soak rice, dals and methi for 4 to 5 hours. Wash rice flakes and grind alongwith the soaked ingredients into thick Dosa batter. Allow to ferment at room temperature for 8 to 10 hours. Next day add sugar and salt to taste and mix well, keep for 5 to 10 minutes. 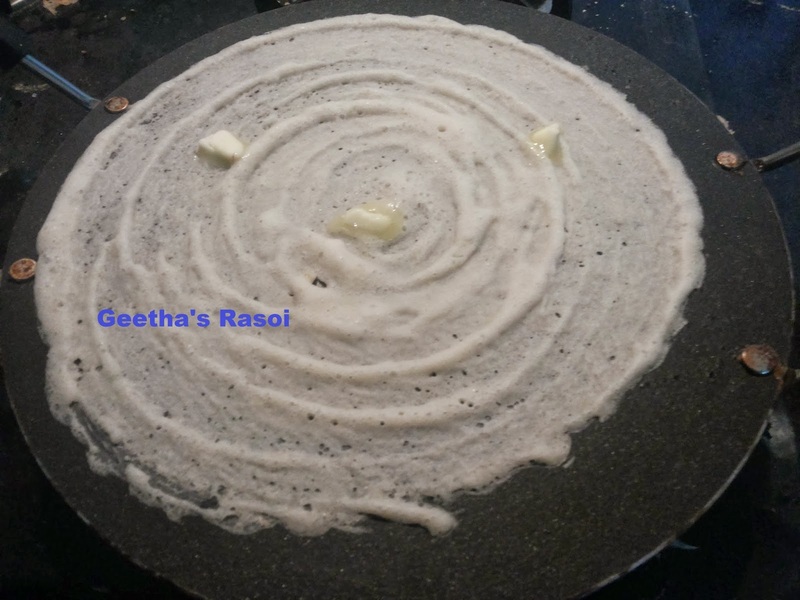 Heat tawa and pour ladleful of batter and prepare thin dosa. Apply red chutney on the Dosa. Stuff with Potato Bhaji and add little butter and fold. 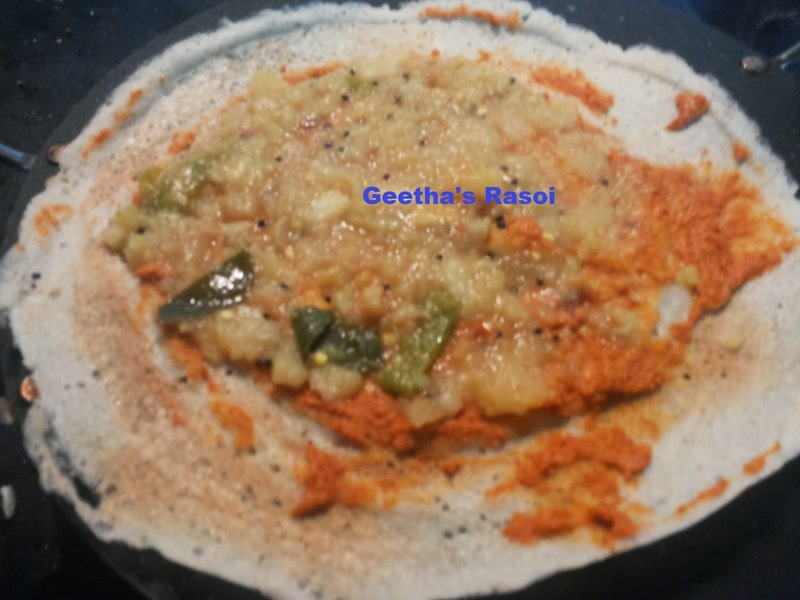 Benne Masala Dosa is ready to serve.